1) In a food processor, add smoked paprika, cumin, cayenne pepper, lemon zest, garlic clove, roasted red pepper, sliced almonds and grape seed oil. 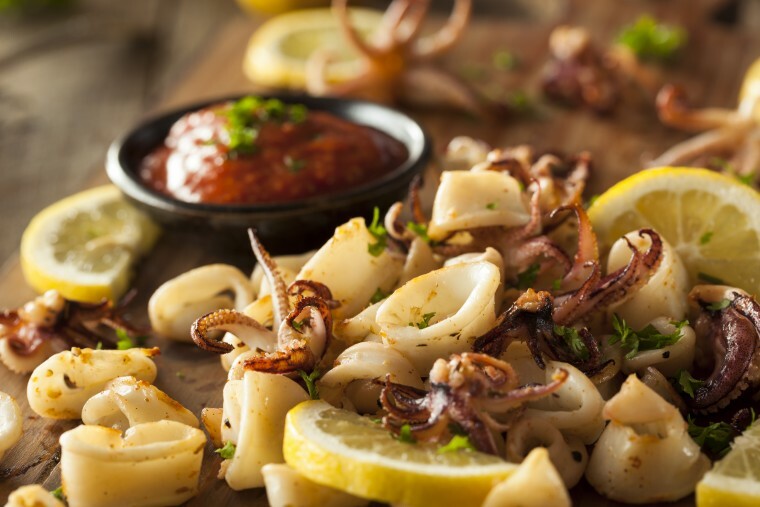 2) Place calamari into the marinade and allow to marinade for at least 4 hours. 3) Place calamari on a very hot grill, grill approximately 2 minutes on each side. 1) Take sliced fennel, olive parsley, lemon zest, juice, and grapeseed oil. 3) Serve on side of grilled calamari.